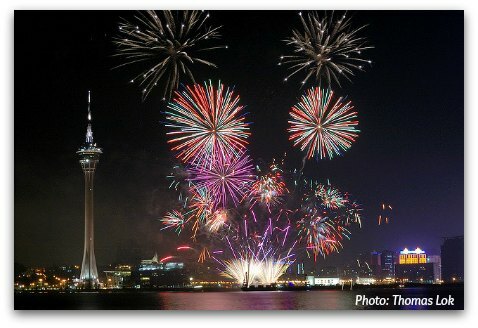 To start off the month is a spectacular fireworks display for National Day on October 1st. This is a favourite holiday for Chinese, when they enjoy a "Golden Week" of days off. Needless to say, if you plan on being here during this period, you need to make as many arrangements in advance as most hotels, and transport venues will be running at full capacity. Shortly after, the colorful lanterns of the Mid-Autumn Festival celebrations will be lighting up throughout the territory, the fire dragons are rambling through the streets and the pumpkins and goblins are just getting started as Halloween fests will be in full swing in October! 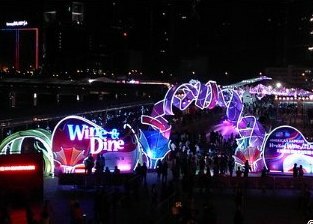 Specially for foodies this month, the Hong Kong Wine and Dine Festival celebrates food and wine from around the world in one of the most spectacular settings overlooking Victoria Harbour and surrounded by Hong Kong's mindblowing skyline. 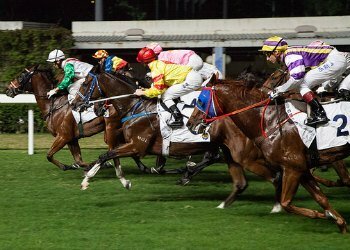 For sports enthusiasts, this is Hong Kong's Sport Month, featuring the Hong Kong Tennis Open, the Hong Kong Cyclothon and finally the Hong Kong Cricket Sixes are back after a five-year hiatus! October 1, 2017 marks the 68th Anniversary of the founding of the People's Republic of China. 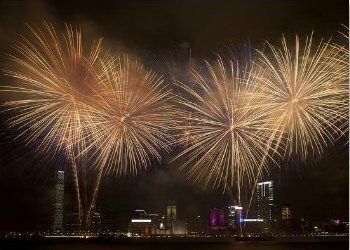 To commemorate the occassion, a series of events are planned including the flag raising ceremonies and parades and a lavish fireworks display which will lit up Victoria Harbour as in previous years. 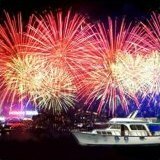 Guide for the best free vantage points and tips for enjoying the fireworks. 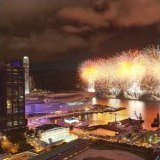 Important Notice: In the aftermath of Typhoon Hato, the 2017 Fireworks contest has been cancelled as the entire city is committed to various tasks for restoration and recovery from the catastrophe In addition, the related infrastructure and facilities required for fireworks displays have suffered damages. 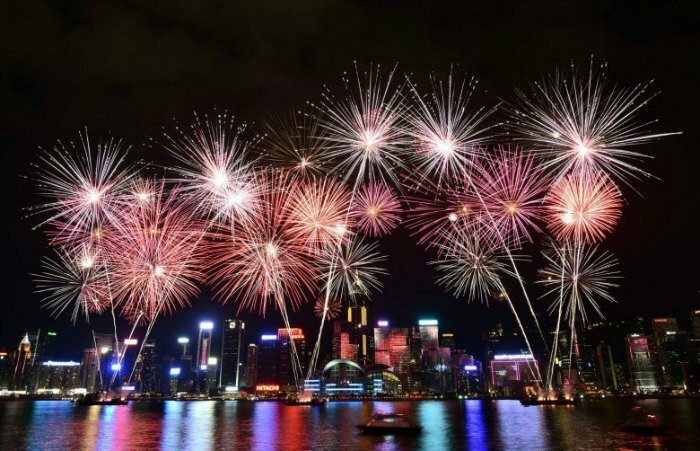 Just next door in Macau... Five evenings of mesmerizing fireworks and music extravaganzas start in September with the Grand Finale on October 1st. Fireworks displays can be some of the most sensational spectacles one can witness, imagine the best of the best in the world battling it out on a competition that encompasses five evenings of stunning lights and sounds, with international teams competing for the coveted trophy. 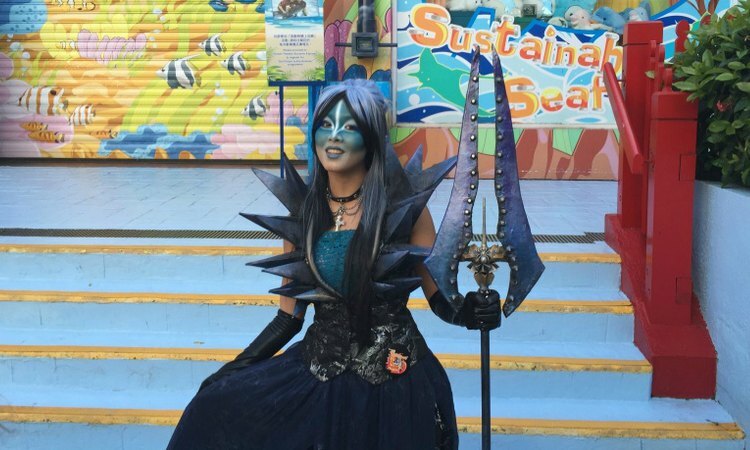 Two teams participate each evening, each evening features a different theme. So who's competing this year? More Info: Full line-up, programme and ticket information at the HK International Jazz Festival site. 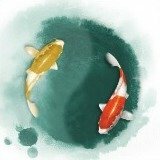 The 2017 Mid-Autumn Festival is on October 4, 2017. Lantern carnivals, parades and festivities will run from late September on. 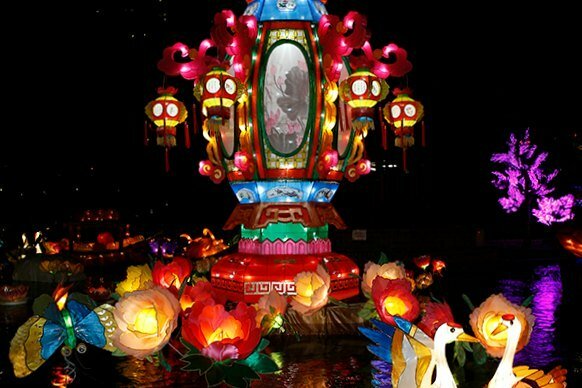 This is the all-in-one mega event that offers fantastic lantern displays, a full cultural programme, and a Fire Dragon Dance Parade. When? : October 4, 2017 - from 8:00 p.m.-11:00 p.m. Youth Night: October 5, 2017 - from 7:30 p.m.- 9:30 p.m. 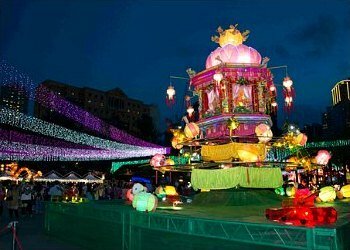 Bright and colorful lantern displays pop up in Tsim Sha Tsui along the promenade area. 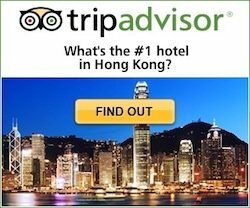 This is a fairly easy spot to pop in for tourists as it's just around the corner from the Star Ferry Terminal and the TST metro station. This is one of the longest running lantern displays during the celebration as they normally run for over a month rather than just a few days. When? : September 22 - October 15, 2017, lit Thursdays through Sundays. 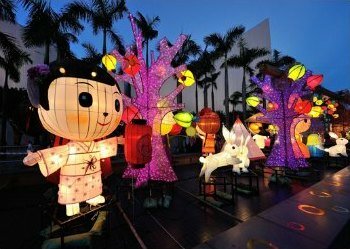 Displays are normally lit up from 6:30 pm to 11:00 pm with extended hours on Mid-Autumn Festival October 4, expected until midnight. 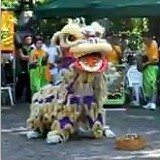 The Tai Hang Fire Dragon Dance Parade is another example of Hong Kong's traditional culture and a main part of the celebrations of the Mid-Autumn Festival. This is a fantastic tradition and one you should not miss. 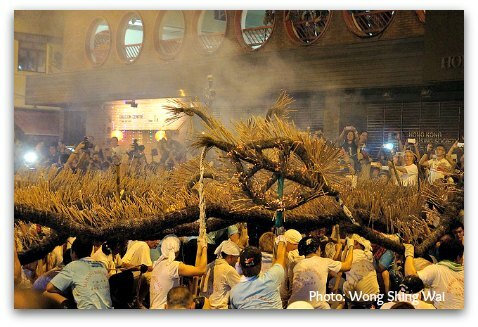 You can take part and experience as the 67-metre Fire Dragon winds through the streets of Tai Hang, like it did over a century ago... It's an amazing sight with over 300 performers, 70,000 incense sticks, and lots and lots of firecrackers! When? : October 3 - 6, 2017 - 8:15 p.m. Where? 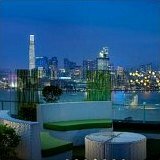 : Tai Hang, Causeway Bay. More Info: 2017 Tai Hang Fire Dragon Dance, parade route and how to get there. World class tennis returns to Hong Kong! 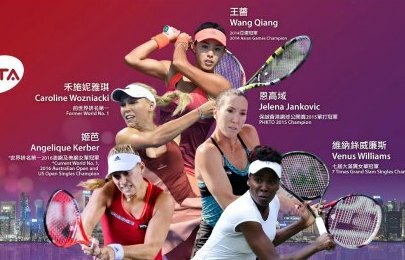 The Prudential Hong Kong Tennis Open is a WTA sanctioned International Series Event returning for its 4th straight year in 2017 and will feature more than 50 of the world's best female tennis players in Victoria Park. Although a fairly newcomer, the tournament keeps increasing in stature and attracting a high calibre player field. The Open attracted over 56,000 spectators last year. This year's prize money has been doubled to US$500,000. Tickets for the early draws on Saturday, Sunday and Monday October 7 - 9, are FREE! Tuesday is FREE for students. More Info, order of play at the official site for the Hong Kong Tennis Open. Returning for the second time the Hong Kong Cyclothon will again welcome cyclists from around the world to immerse in the culture and breathtaking landscape only offered by Asia's World City. 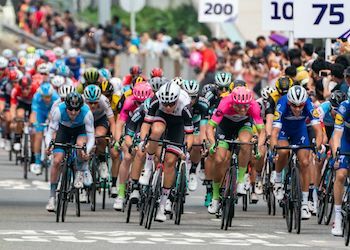 With several different riding categories, from kids and family races, 30 km community rides, to international criterium riders, cyclists of all skill levels have the opportunity to participate and experience the beauty of Hong Kong. More Info including how to participate in the races. 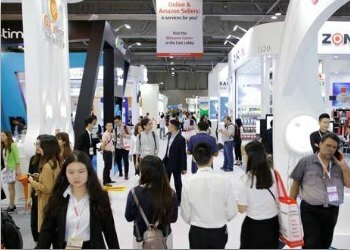 9,000 booths with the latest in electronics, gifts, home products and fashion contained into four trade shows in October. If you are running an online business, there are special services for online and Amazon sellers with a "Ready-to-Buy" zone, an e-commerce service providers' pavillion and suppliers who accept small orders. This is a sourcing event, you have to register to attend. The Shows are conveniently timed for buyers who also attend the Canton Fair. How Much? : General Admission HK$30, 65+ and children 3-12 HK$15. Tokens can be purchased as part of a package for wine and spirits tasting, while food and non-alcoholic beverages can be purchased from vendors with cash. More information HKTB Wine and Dine Month. 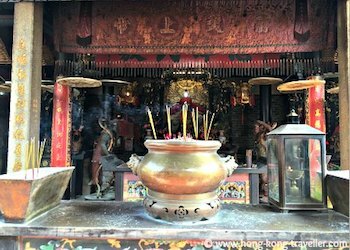 Chung Yeung Festival IS a public holiday in Hong Kong. After a five-year hiatus, the Sixes are back in 2017. The fastest cricket format in the world will see eight international teams participating over two frenetic days with each match taking just 45 minutes to complete. Who's participating? South Africa, Bangladesh, New Zealand, Pakistan, Hong Kong, Australia, Sri Lanka and the Marylebone Cricket Club. 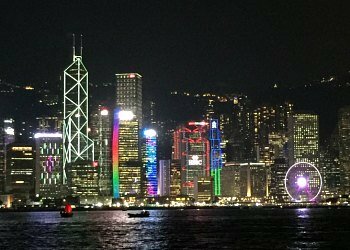 Details are trickling in, but word has it the tournament has transformed itself and will be presenting Hong Kong with the most hi-tech, innovative cricket tournament in the world. 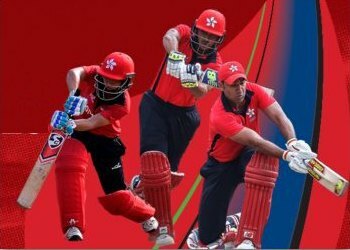 More info and tickets for the Hong Kong Sixes. There are many events, parties, and parades centered around Halloween this year.